In any group, it’s essential that there are no barriers to communication; your members should feel comfortable with each other and be able to interact without holding back. As you know, it takes time to build these kinds of relationships. How can you encourage friendships to form in a way that is quick, yet meaningful? Many icebreakers have attempted to answer that question. Those same activities have also been criticized for being too broad or common. 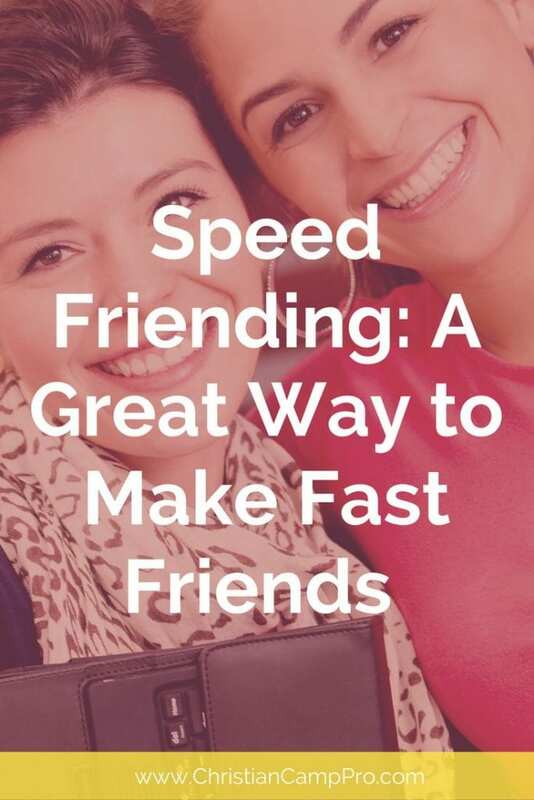 Here’s a new solution: Speed Friending! Half of the group is seated, and the other half of the group is rotating. Every 5 minutes or so, the rotating group will move to another seated person. During these intervals, each pair of people will get the opportunity to talk, develop a connection and possibly even spark a friendship. The time limits aren’t set in stone and should be adjusted according to the length of your group meeting and number of people involved. Speed Friending is a very simple and easy-to-execute activity, and yet its advantages are vast. Perhaps one of the greatest benefits is that it tears down the walls of shyness. Many people have deep-seated anxiety when it comes to talking to people they don’t know. They may even be intimidated by certain group members. But, when they push outside their comfort zones, this speedy connection opens up the door to allow them to easily communicate and work together with other members of the group in the future. Additionally, speed friending allows group members to identify people with common interests. The conversations that take place don’t have to be deep, profound or even scripted; simply discussing likes and dislikes may lead to future friendships. Often, people want to make new friends, but they aren’t quite sure how to go about it. With speed friending, they can start pursuing that goal without appearing socially awkward or desperate. Some group leaders may be skeptical about the idea of speed friending, and understandably so. What if it doesn’t go well? What if none of your members are willing to talk to each other? What if you don’t reap any results? While these are valid concerns for any new practice, the truth is that you have nothing to lose in implementing speed friending. Even if no lasting friendships result from the activity, at least your members have learned more about each other and become more comfortable with each other. In fact, you might be surprised at how much people are willing to socialize when they are encouraged with a game. Speed friending is the easiest and most effective way to build relationships in a short amount of time. Special thanks to Lake Williamson Conference Center for making this article possible.